This is a new edition of the first volume of G.P.Baker and P.M.S. 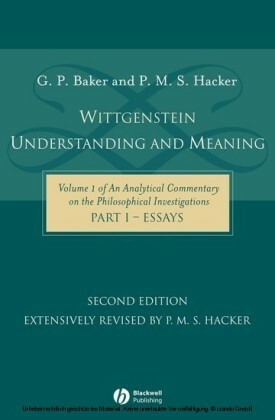 Hacker's definitive reference work on Wittgenstein's Philosophical Investigations . Takes into account much material that was unavailable when the first edition was written. Following Baker's death in 2002, P.M.S. Hacker has thoroughly revised the first volume, rewriting many essays and sections of exegesis completely. Part One - the Essays - now includes two completely new essays: 'Meaning and Use' and 'The Recantation of a Metaphysician'. 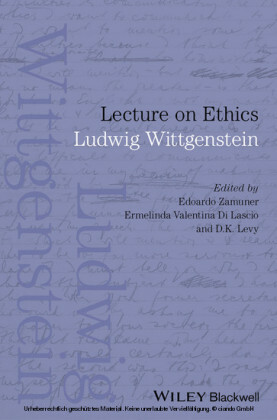 Part Two - Exegesis 1-184 - has been thoroughly revised in the light of the electronic publication of Wittgenstein's Nachlass , and includes many new interpretations of the remarks, a history of the composition of the book, and an overview of its structure. 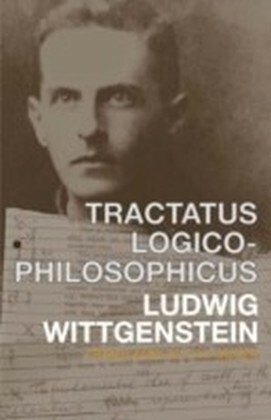 The revisions will ensure that this remains the definitive reference work on Wittgenstein's masterpiece for the foreseeable future. G.P.Baker was a Fellow of St John's College, Oxford from 1967 until his death in 2002. He is the co-author with P.M.S. 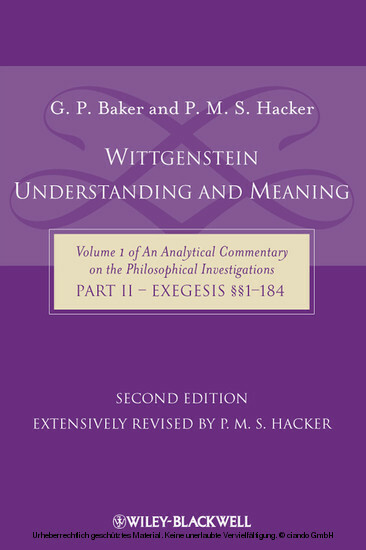 Hacker of the first two volumes of the four-volume Analytical Commentary on the Philosophical Investigations (Blackwell, 1980-96), author of Wittgenstein, Frege and the Vienna Circle (Blackwell, 1988) and with Katherine Morris of Descartes' Dualism (1996). 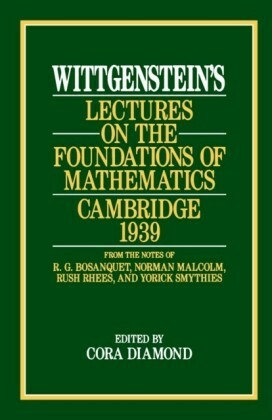 He also wrote numerous articles on Wittgenstein, Frege, Russell, Waismann and Descartes. P.M.S. Hacker is the leading authority on the philosophy of Wittgenstein. He is author of the four-volume Analytical Commentary on the Philosophical Investigations , the first two volumes co-authored with G.P. Baker (Blackwell, 1980-96) and of Wittgenstein's Place in Twentieth-century Analytic Philosophy (Blackwell, 1996). His other previous works include The Philosophical Foundations of Neuroscience (Blackwell, 2003) and History of Cognitive Neuroscience (Wiley-Blackwell, 2008), both co-authored with M.R. Bennett. Most recently he has published Human Nature: The Categorical Framework (Blackwell, 2007), the first volume of a trilogy on human nature.Together with Joachim Schulte, he has produced the 4 th edition and extensively revised translation of Wittgenstein's Philosophical Investigations (Wiley-Blackwell, forthcoming 2009).